1/4-1/2 cup sugar or to taste. Use sweetener for diabetics. Put all the ingredients, except ice, in a blender/liquidizer and give a quick whiz. Put ice cubes in chilled, tall glasses. Pour lassi on top of the ice cubes and serve with drinking straws. 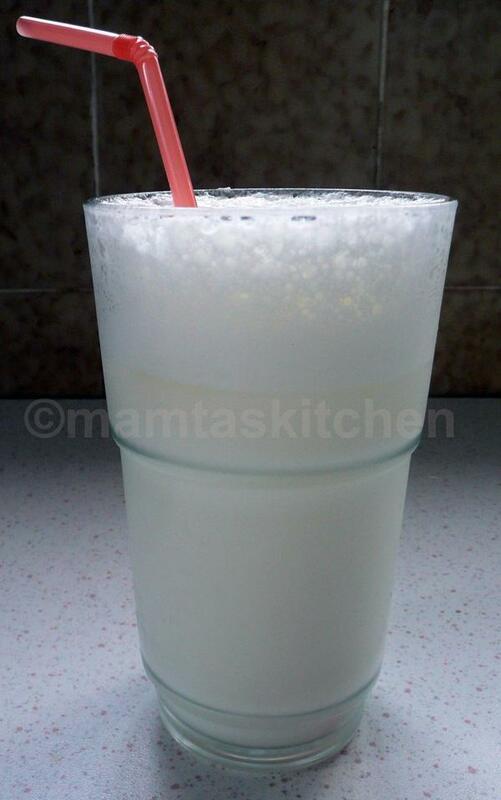 Thick creamy yoghurt makes the best lassi but I make mine with skimmed or semi-skimmed milk yoghurt and it still tastes lovely. You can flavour lassi with rose essence, kewra (screw pine) essence, saffron, vanilla or green cardamoms. For saffron, first soak it in 2-3 tablespoons of warm water before adding it to the lassi to lassi. Kewra (screwpine) is a sweet smelling Indian flower and its essence is often used in Indian puddings.